A brilliant sales presentation has a number of things going for it. Being product-centered isn’t one of them. So what can you do to make your offer compelling? We uncovered some interesting data to answer this question. Plus examples and easy steps to build your own sales presentation in minutes. Title slide: Company name, topic, tagline. The “Before” picture: No more than three slides with relevant statistics and graphics. The “After” picture: How life looks with your product. Use happy faces. Company introduction: Who you are and what you do (as it applies to them). The “Bridge” slide: Short outcome statements with icons in circles. 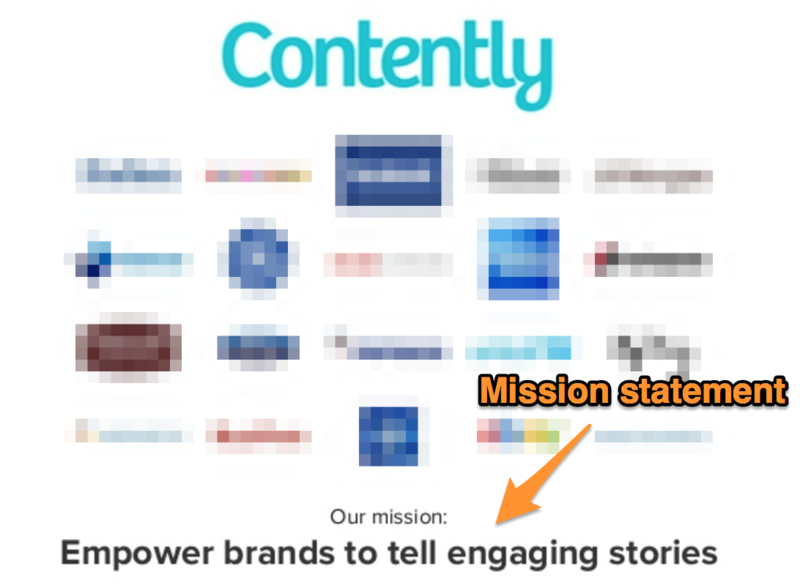 Social proof slides: Customer logos with mission statement on one slide. Pull quote on another. “We’re here for you” slide: Include a call-to-action and contact information. Many sales presentations fall flat because they ignore this universal psychological bias: People overvalue the benefits of what they have over what they’re missing. Harvard Business School professor John T. Gourville calls this the “9x Effect.” Left unchecked, it can be disastrous for your business. The good news: You can influence how prospects perceive these gains and losses. One of the best ways to prove value is to contrast life before and after your product. Luckily, there’s a three-step formula for that. Start with a vivid description of the pain, present an enviable world where that problem doesn’t exist, then explain how to get there using your tool. 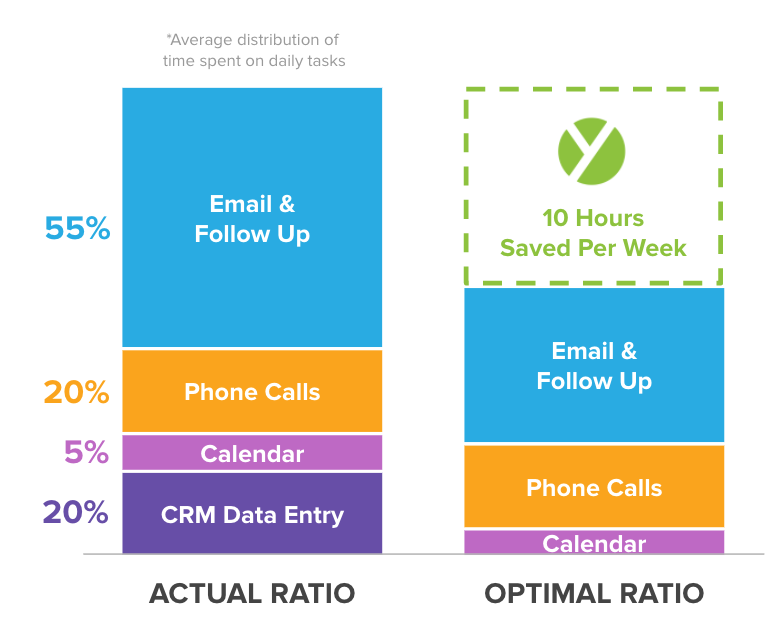 It’s super simple, and it works for cold emails, drip campaigns, and sales discovery decks. Basically anywhere you need to get people excited about what you have to say. In fact, a lot of companies are already using this formula to great success. The methods used in the sales presentation examples below will help you do the same. We’re all drawn to happiness. A study at Harvard tells us that emotion is contagious. 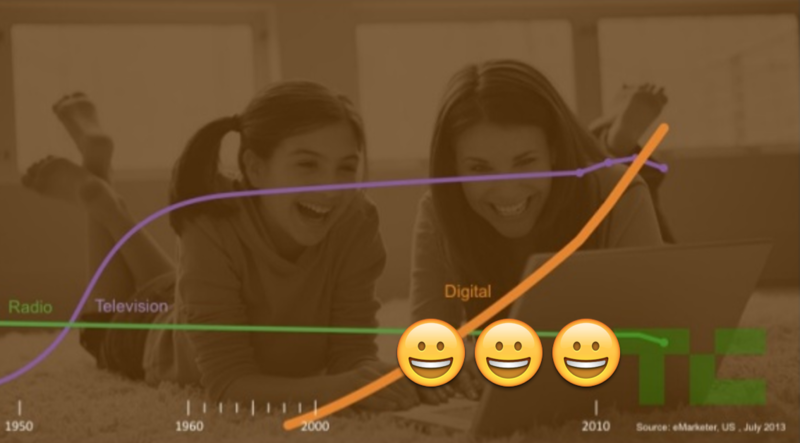 You’ll notice that the “Before” (pre-Digital Age) pictures in Facebook’s slides all display neutral faces. But the cover slide that introduces Facebook and the “After” slides have smiling faces on them. This is important. The placement of those graphics is an intentional persuasion technique. Studies by psychologists show that we register smiles faster than any other expression. All it takes is 500 milliseconds (1/20th of a second). And when participants in a study were asked to recall expressions, they consistently remembered happy faces over neutral ones. 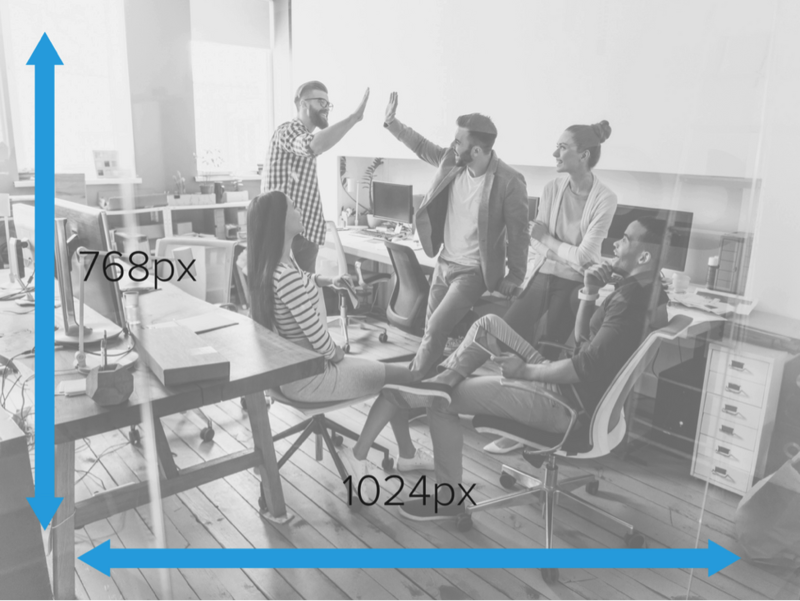 What to do about it: Add a happy stock photo to your intro and “After” slides, and keep people in “Before” slides to neutral expressions. Tactic #1: Use simple graphics to convey meaning without text. Example: Slide 2 is a picture of a consumer’s hand holding an iPhone — something we can all relate to. Why It Works: Pictures are more effective than words — it’s called Picture Superiority. In presentations, pictures help you create connections with your audience. Instead of spoon-feeding them everything word for word, you let them interpret. This builds trust. Tactic #2: Use icons to show statistics you’re comparing instead of listing them out. 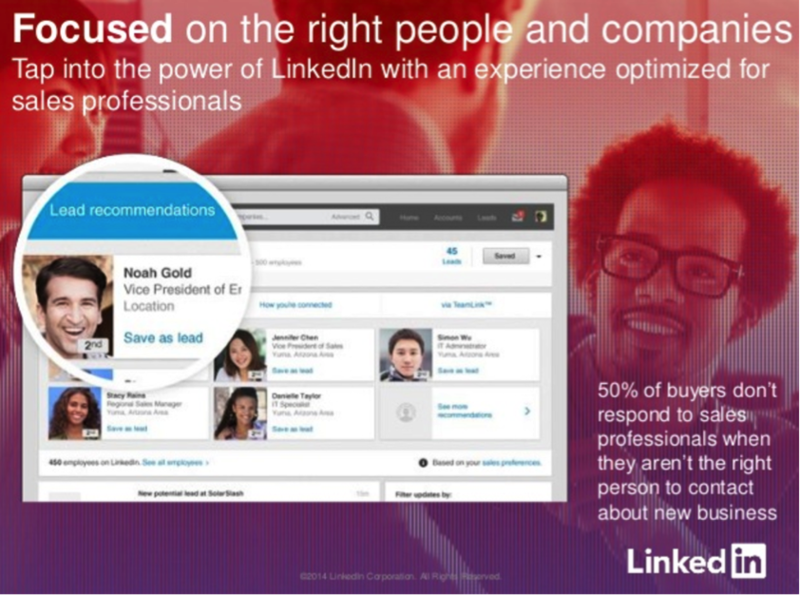 Example: Slide 18 uses people icons to emphasize how small 38 out of 100 people is compared to 89 out of 100. Why It Works: We process visuals 60,000 times faster than text. Tactic #3: Include statistics that tie real success to the benefits you mention. Example: “71% lift driving visits to retailer title pages” (Slide 26). Why It Works: Precise details prove that you are telling the truth. Just like how you can’t drive from Marin County to San Francisco without the Golden Gate, you can’t connect a “Before” to an “After” without a bridge. Add the mission statement of your company — something Contently does from Slide 1 of their deck. Having a logo-filled Customers slide isn’t unusual for sales presentations, but Contently goes one step further by showing you exactly what they do for these companies. Tactic #1: Use graphics, Venn diagrams, and/or equations to drive home your “Before” picture. Tactic #2: Keep slides that have bullets to a minimum (no more than one in every five slides). Tactic #3: Follow up your descriptions with visual examples. 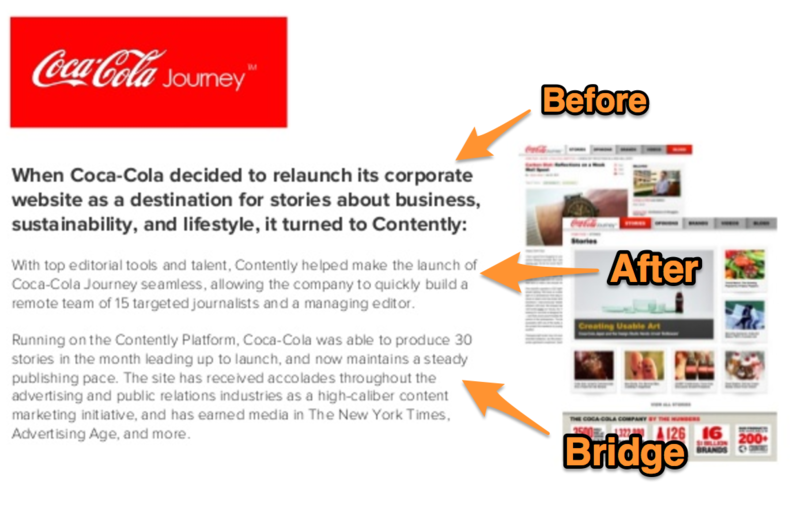 Example: After stating “15000+ vetted, ready to work journalists searchable by location, topical experience, and social media influence” on Slide 8, Contently shows what this looks like firsthand on slides 9 and 10. Why It Works: The same reason why prospects clamor for demos and car buyers ask for test drives. You’re never truly convinced until you see something for yourself. Which is more effective for you? 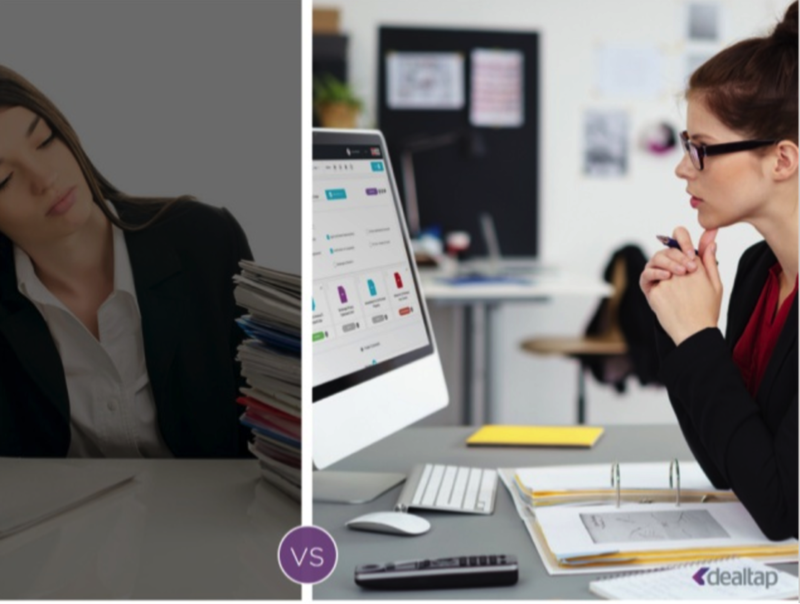 The graphic shows you what that 10 hours looks like for prospects vs. customers. It also calls out a pain that the product removes: data entry. Visuals are more effective every time. They fuel retention of a presentation from 10% to 65%. But it’s not as easy as just including a graphic. You need to keep the design clean. Clutter provokes anxiety and stress because it bombards our minds with excessive visual stimuli, causing our senses to work overtime on stimuli that aren’t important. Tactic #1: Personalize your final slide with your contact information and a headline that drives emotion. Tactic #2: Pair outcome statements with icons in circles. Example: Slide 4 does this with seven different “After” outcomes. Why It Works: We already know why pictures work, but circles have power, too. They imply completeness, infiniteness, and harmony. Tactic #3: Don’t just list who you work with; include specific success metrics that hit home what you’ve done for them. Example: 35% New Business Growth for Boomtrain; 30% Higher Reply Rates for Dyn. Why It Works: Social proof drives action. It’s why we wait in lines at restaurants and put ourselves on waitlists for sold out items. This means you need to cut to the chase fast. So instead of self-touting benefits, the brand steps aside to let consumers hear from their peers — something that sways 92% of consumers. Leading questions may be banned from the courtroom, but they aren’t in the boardroom. Ever heard of the Focusing Effect? It’s part of what makes us tick as humans and what makes this design-move effective. We focus on one thing and then ignore the rest. Here, DealTap puts the magnifying glass on paperwork vs. automated transactions. Sure, DealTap’s platform might have complexities that rival paperwork, but we don’t think about that. We’re looking at the pile of work one the left and the simpler, single interface on the right. Tactic #1: Tell a story that flows from one slide to the next. Example: Here’s the story DealTap tells from slide 4 to 8: “Transactions are complicated” → “Expectations on all sides” → “Too many disconnected tools” → “Slow and error prone process” → “However, there’s an opportunity. Why It Works: Stories with a clear beginning and end (or in this case, a “Before” and “After”) trigger a trust hormone called Oxytocin. Tactic #2: If it’s hard to separate out one “Before” and “After” vision with your product or service because you offer many dissimilar benefits, consider a “This vs. That” theme for each. Why It Works: It breaks up your points into simple decisions and sets you up to win emotional reactions from your audience with stock photos. Click here to start tracking email opens [free trial]. Remember how satisfying it was to play connect the dots? Forming a bigger picture out of disconnected circles. That’s what you need to make your audience do. Laying out the reality (the “Before” part of the Before-After-Bridge formula). 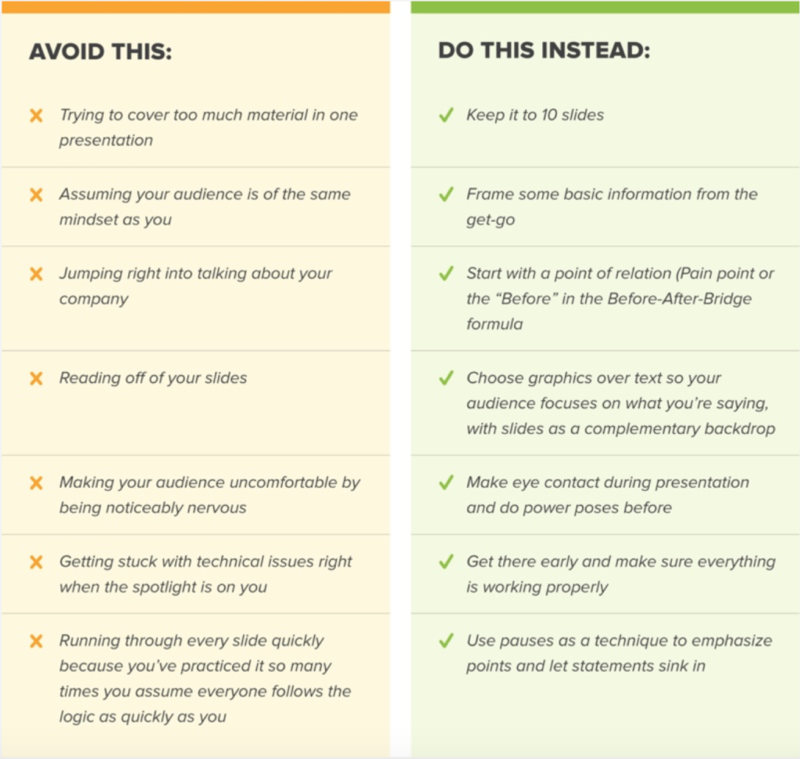 You can achieve this by founding your sales presentation on your audience’s intuitions. Set them up with the closely-set “dots,” then let them make the connection. Tactic #1: Use logos and testimonial pull-quotes for your highest-profile customers to strengthen your sales presentation. Example: Slides 21 to 23 include customer quotes from Schneider Electric, Financial Times, and Box. Why It Works: It’s called social proof. Prospects value other people’s opinions and trust reputable sources more than you. Tactic #2: Pad your images with white space. Example: Slide 17 includes two simple graphics on a white background to drive home an important concept. Why It Works: White space creates separation, balance, and attracts the audience’s eyes to the main focus: your image. Tactic #3: Incorporate hard data with a memorable background to make your data stand out. Example: Slide 5 includes statistics with a backdrop that stands out. The number and exciting title (‘A Global Phenomenon’) are the main focuses of the slide. Why It Works: Vivid backdrops are proven to be memorable and help your audience take away important numbers or data. Psychology tells us that seeing colors can set our mood. You can use hues in your own slides to guide your audience’s emotions. Green gives peace; grey adds a sense of calm; blue breeds trust. See more here. Caveat: Check with your marketing team first to see if you have a specific color palette or brand guidelines to follow. Tactic #1: Include one clear call-to-action on your final slide. Example: Slide 9 has a “Learn More” CTA button. Why It Works: According to the Paradox of Choice, the more options you give, the less likely they are to act. Step One: Ask marketing for your company’s style guide (color, logo, and font style). What are your ICP’s pain points? What end picture resonates with them? How does your company come into play? Step Three: Ask account management/marketing which customers you can mention in your slides (plus where to access any case studies for pull quotes). Step Four: Download photos from Creative Commons. Remember: Graphics > Text. Use Canva to edit on your own — free and fast. What are the sales presentation strategies that work best for your industry and customers? Tweet us: @Yesware.